The tablet ships for $449, and the dock is sold separately, just as it has always been. 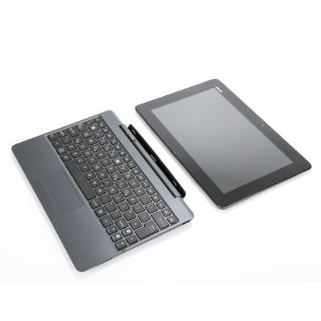 If you want to use this tablet in a netbook form-factor, you will have to throw down an additional $139.99. The TF701T comes in a 10.1 form factor with a 2560 x 1600 display. It has 2GB of RAM, starts at 32GB of internal storage, rocks a 5MP camera on the back, and sports a 1.2MP camera on the front. This Tegra 4-powered tablet comes with Android 4.2 out of the box. Note, this launch isn't universal. ExcaliberPC shows that they're launching the tablet on November 3rd, and Newegg still lists the product as a pre-order scheduled for release a day later, on November 4th. Considering each site lists the product for the same price, there's little reason to wait around.